Central welcomed back the seven sophomores who participated in the Ulpana Exchange Program in Israel this past month. The students, who spent time in a girls’ school in Maale Adumim, returned overflowing with stories of their learning, new friendships, and exposure to Israeli society, culture, and history. “The environment in the school was so happy and welcoming,” Shayna Orlow said. 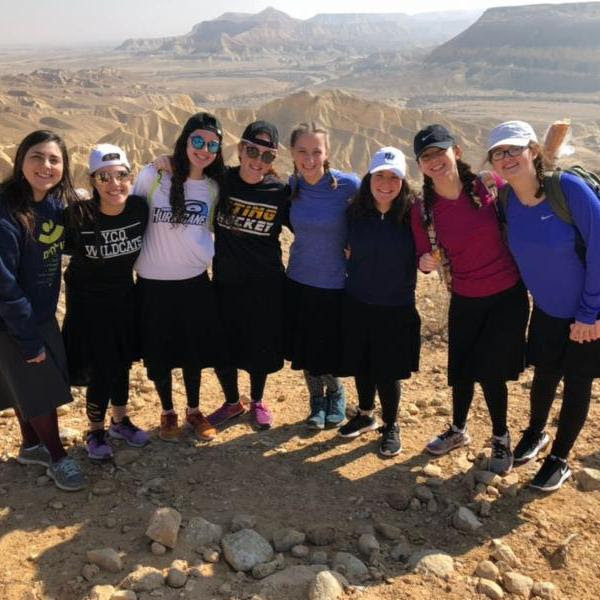 “We had a wonderful time and made so many friends.” Carrie Ebbin also commented on the students’ commitment to religious Zionism: “Their love of Israel was very inspiring. It made me want to spend more time there.” Lauren Stiefel echoed the sentiment and spoke fondly of the shabbatot she spent at the homes of her new friends in Israel. “My Hebrew improved,” she said, “but, even in the moments when there was a language barrier, it didn’t matter; the families were so warm and still made us feel so comfortable.” The returning sophomores are so excited to welcome a few of the Israeli Ulpana students next week to school, where they will be Central students for a month!